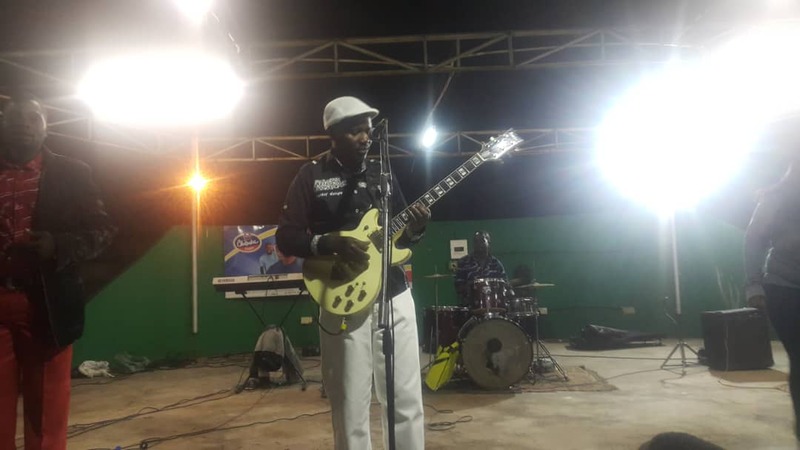 In a turn of events, Zora music legend, Leonard Karikoga Zhakata attracted a bumper crowd to his weekend show at Extra Mile Leisure Centre, a big contrast to his last show. This follows a monumental flop that characterised his Glennorah Show which lured only 20 people about a month ago. Spotting white pants, a black and white long-sleeved shirt, complemented by eye-catching gloss black and white shoes, Zhakata laced his outfit with a black and white flat cap to show off his famed good sense of style from his heydays. The Kundiso singer took the stage at around 20:00hrs after Progress Chipfumo had warmed the stage and readied fans with a decent performance. He did not take time to whip fans into a dancing frenzy with hit after hit from Batai Mazwi, Happy Birthday to Madam Boss. His key highlight of the act was when Chipfumo joined him on stage to perform the hit track Madam Boss. The duo strummed the guitar strings through the song in a way that persuaded music lovers, who had already paid entrance fees to walk closer to the stage and stretch cash handouts to the musicians. Zhakata performed close to three hours before disembarking from the stage. Throughout his performance, it was a dance fiesta also characterized by cash handouts to the artist here and there. Zhakata remains one of the household names who made their breakthrough in the 90s. His music career took a nosedive when some of his songs including Mubikira were censored by the Zanu PF regime. Since then, he has struggled to regain his lost fame and the success of his last album which carried the chart-topping Madam Boss has not helped matters for the Rusape born star.